Last time I showed you what can happen when industries leave. As well as what can happen to the land and the places they once occupied. But not all industries move away and not all of them just leave, happily. We can rile against industries as much as we want, we still need them. Even more if those industries produce beer. The ingredients are often the same, as the guide explained, whenever they want to create a new type of beer, they simply look up a recipe on the internet to get the basics. After that, it is a question of “personal” taste and proportions of the ingredients that make the beer. Most of the beers in the world are “cloned” in this way. Hop, Barley and water are the main ingredients. 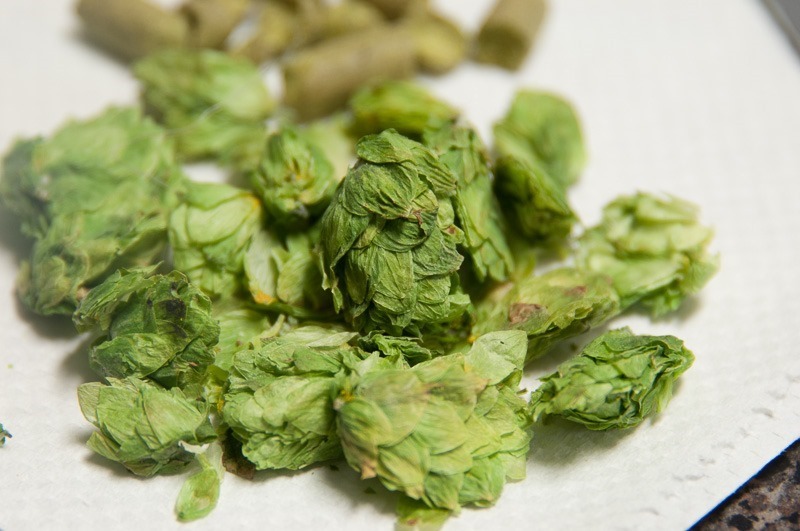 Once you have those properly put together, there are ways to create a host of different beer types by either letting the barley sprout, or not, burn it, or not and so on. Adding fruits or other ingredients like Columbian Coffee make for the wildest kinds of beers. The one with coffee is called Kona and was described as some kind of energy drink. I guess that it would feel like a Red Bull that is dangerous for your driver’s license . 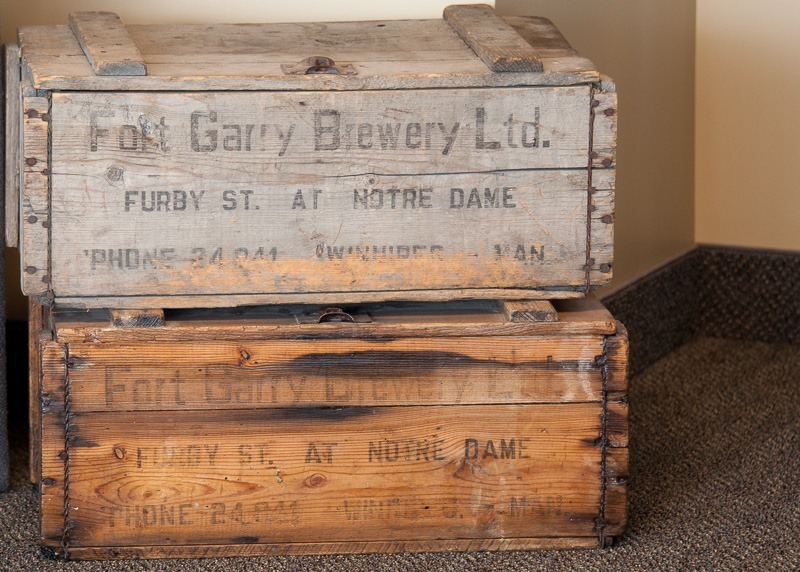 So, back to the Fort Garry Brewery in Winnipeg. If at first I had the idea that even I could go into beer making, I was put in my place a little later. The enormousness of the place is overwhelming. 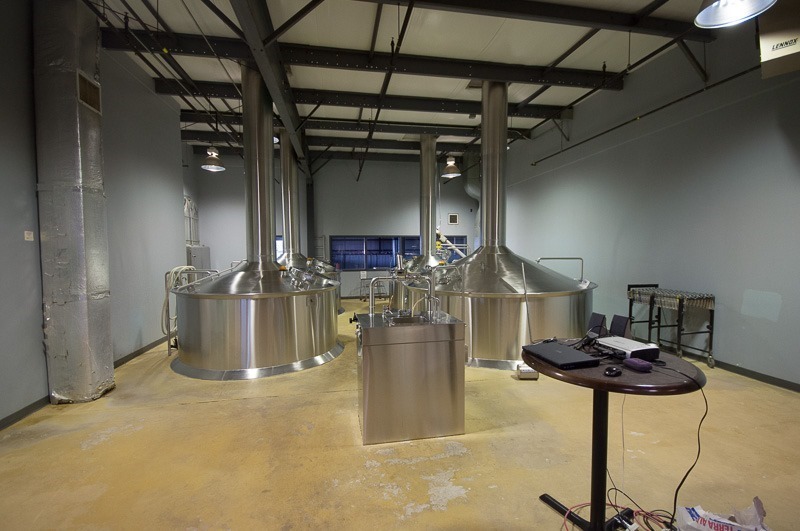 Even for a small brewery this is a big place. 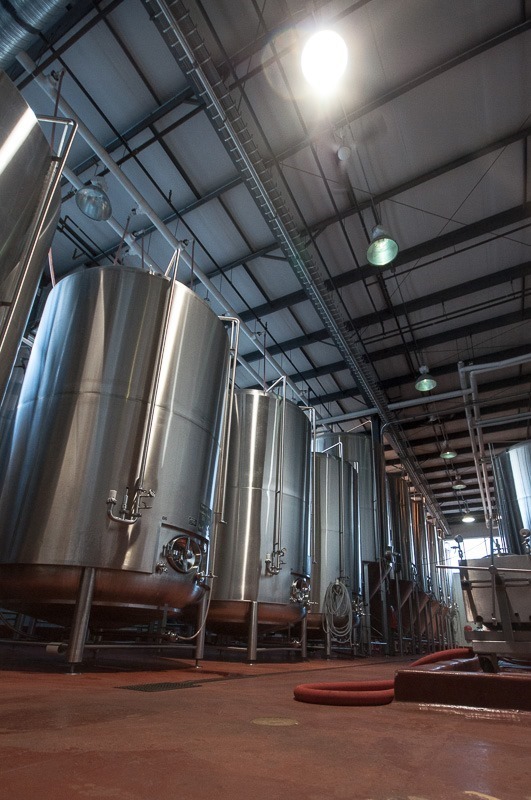 Beer is brewed in those four tanks you see up here. It starts in one tank and the mixture is subsequently pumped from one tanks to the other. Looking at the quality and craftsmanship of the tank itself makes me think that it is pretty expensive. Out of my budget for now. Looking into such a tank does not really give an idea of the size of it, the above picture is of the first one of the four. It holds about 75,000 liters of mixture. 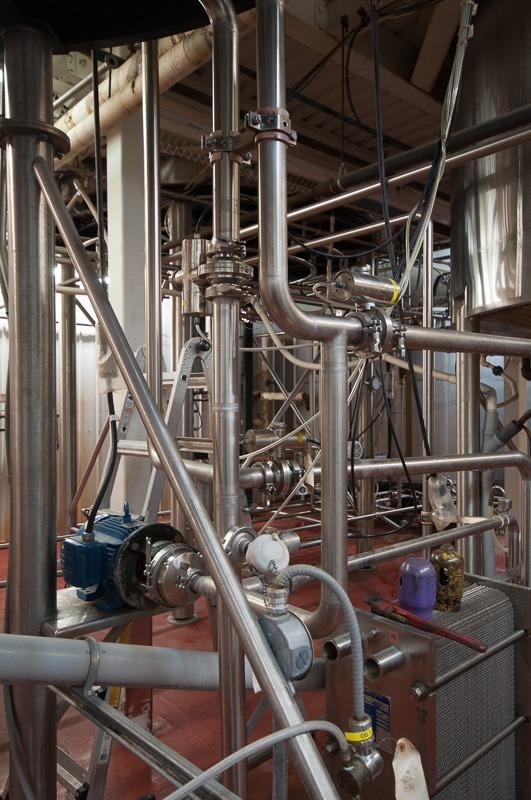 One batch of beer takes 8 to 9 hours to finish, with 4 batches running at a 4 hour interval so that over a period of 24 hours they can brew 145,217,841,787 liters of beer. Ok, I lost track of the numbers… Anyway it is LOTS of beer . 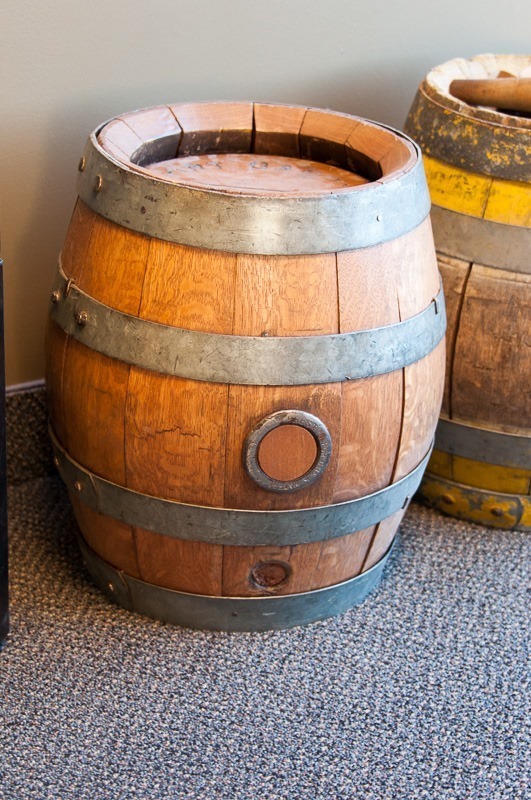 Volumes like these are no longer expressed in liters but in hectoliters or 100 liter units. 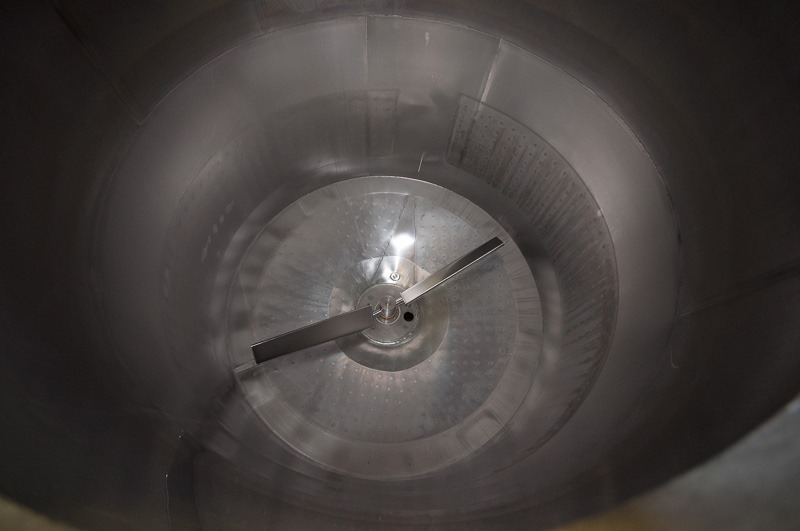 Once a batch is finished it is held in these huge tanks for up to 6 months by a temperature of –2C. Beer does not freeze at that temperature so in this place it is always possible to get a fresh beer. 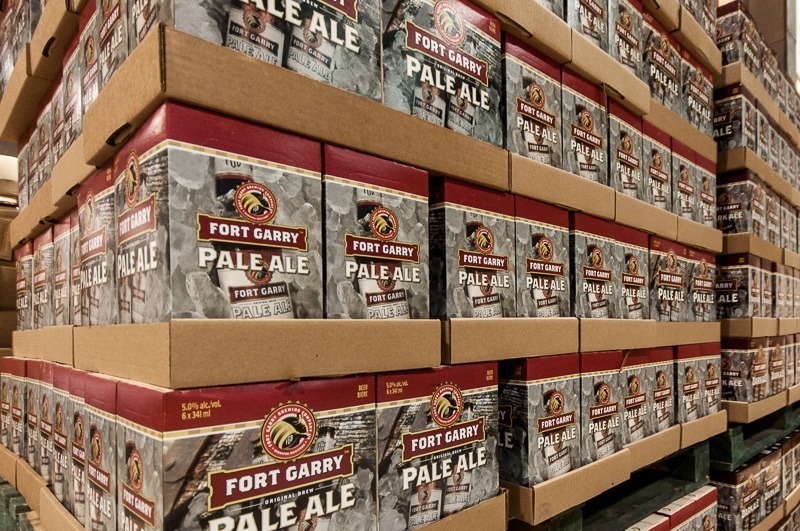 Fort Garry Brewery makes different kinds of beer, like dark beer, light beer, India Pale Ale and products that are specific on order like vodka related beverages. Although I have seen the products of some of those orders, I will not post them here . 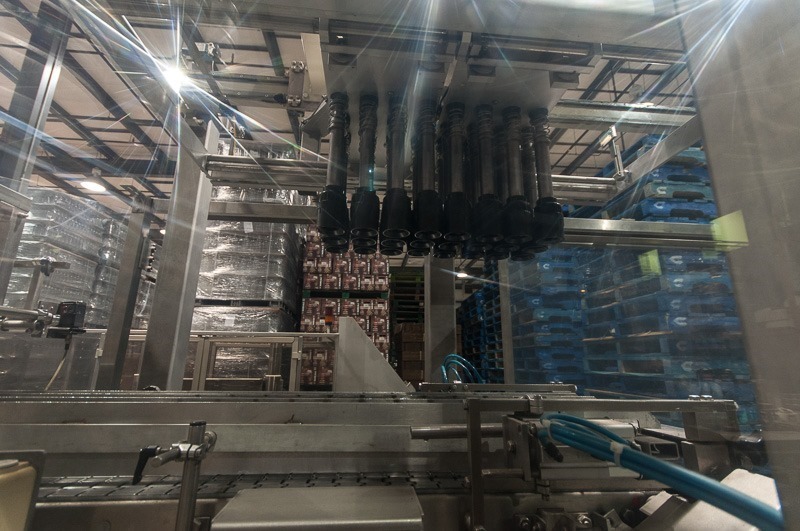 Once the beer is set to be delivered, it needs to be bottled. 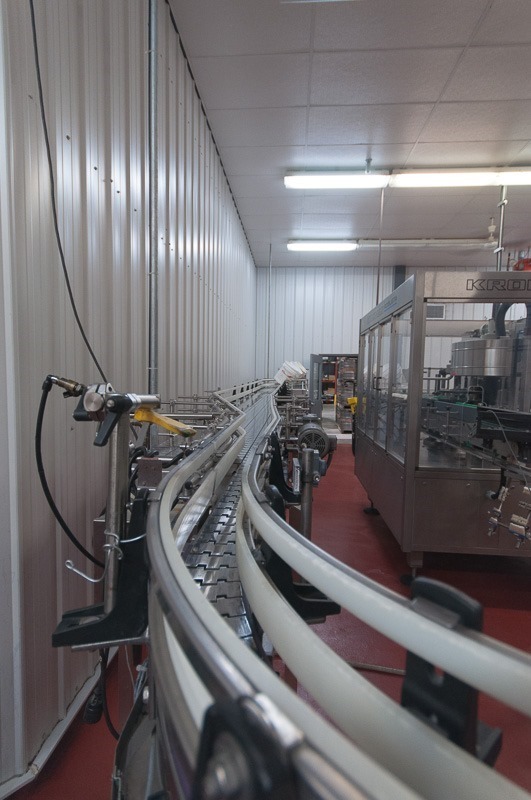 Bottling beer is a more complicated process than simply pouring it into a bottle. The bottle needs to be cooled, emptied of air, filled with CO2 and only then it is ready to receive the beer. In this manner, very little of the beer is spilled when filling the bottles. Bottling goes with about 110 bottles per minute, faster than I can empty them. Before filling, all bottles are stripped of their labels and anything left inside be that capsules, mice, paper, cigarette butts (yuk!) or anything else. Then they are cleaned in caustic soda, dried and quality tested. Any bottle that is not 100% clean, crack free or otherwise undamaged is rejected, never to enter the beer cycle again in its life. This is also the reason why you are always requested NOT to screw the cap back on the bottle, it will be rejected in this process. Making waste of a perfectly usable bottle.